Windows 10 is a modern operating system that is installed even on laptop computers. 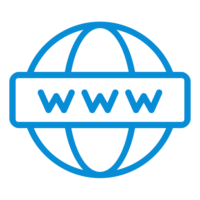 It is quite often that owners of such laptops use them outside of home or office space, where they have to connect to the Internet through an access point on a smartphone or tablet. Few people have unlimited mobile Internet traffic, and in just a few minutes or hours of work at a computer running Windows 10 connected to the mobile Internet, prepaid gigabytes may run out. 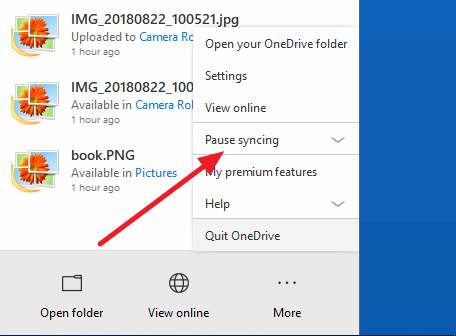 To prevent this from happening, you can limit the maximum amount of data consumed by a computer by the means of Windows 10 operating system, and in this article we are going to tell you how to do it. 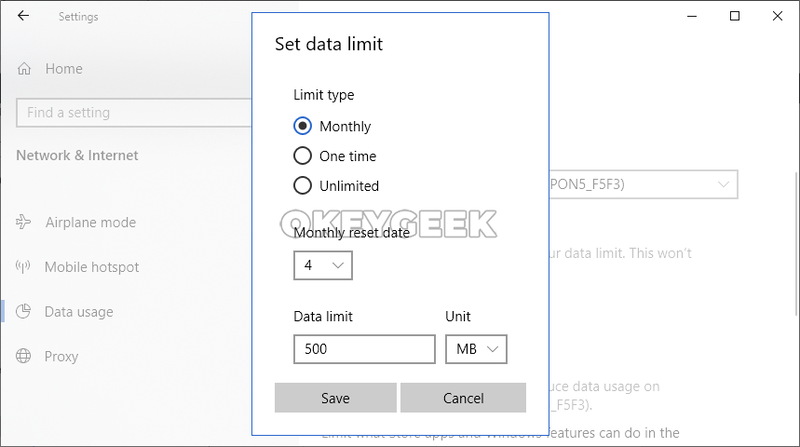 After that, the settings will display information about data limit for the connection. 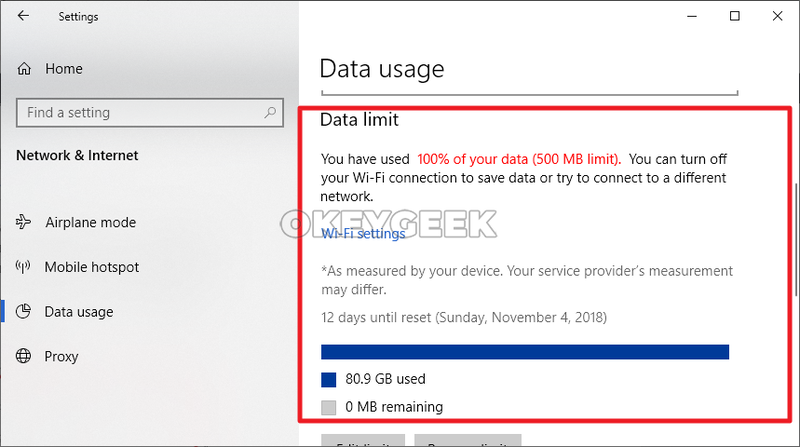 It will indicate how much data has already been used, and how much is left. 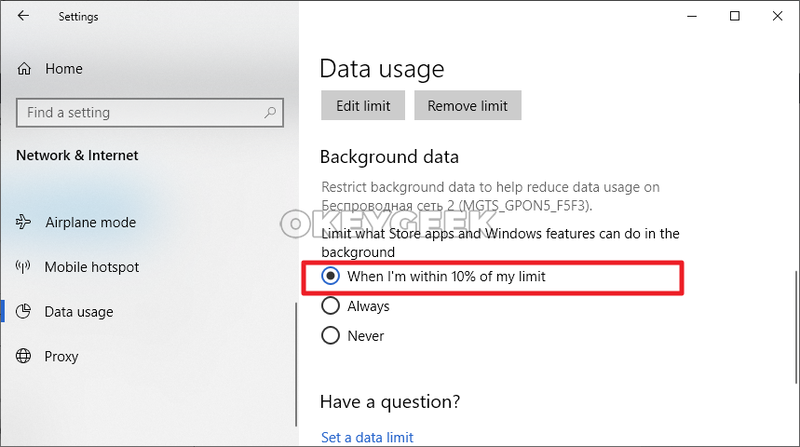 If you need to remove the data limit, click “Remove limit”. If you need to set more or less than the limit of permissible traffic, click “Edit limit”. 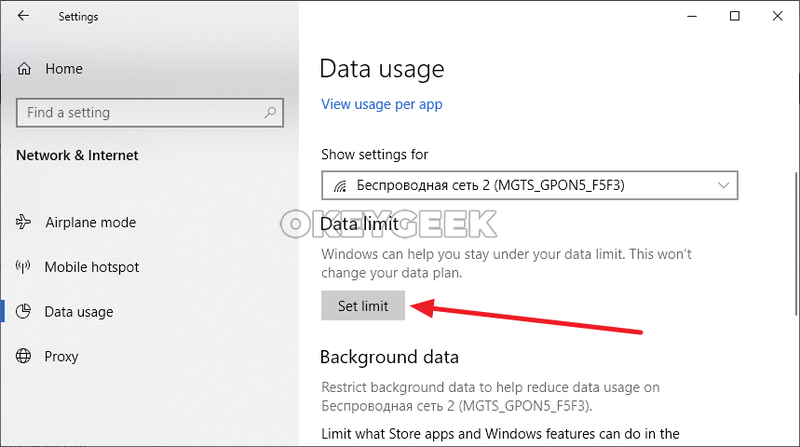 It is important to note that while you are setting the data transfer limit, there will also be an option to restrict the background operation of Microsoft applications and components, when there is left less than 10% of limit. Find out which programs on your computer use a lot of data. This can be done from the system parameters. 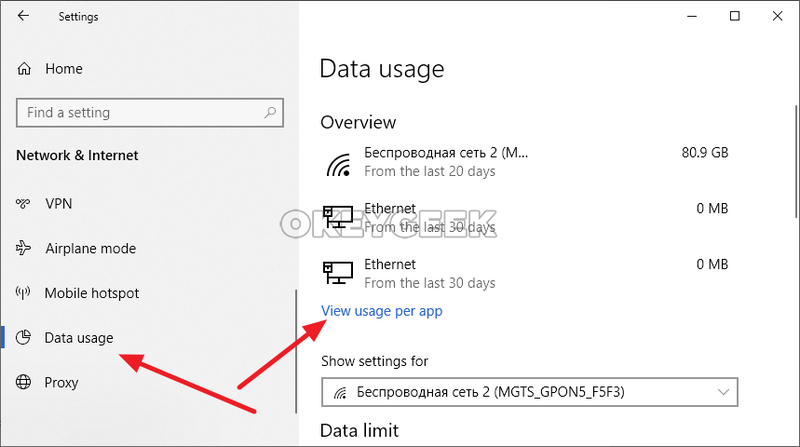 Go to “Settings” – “Network & Internet” – “Data Usage”. Click on the “View usage per app” There will open a window that contains specific information about how much data each application has spent on your computer during the last 30 days. 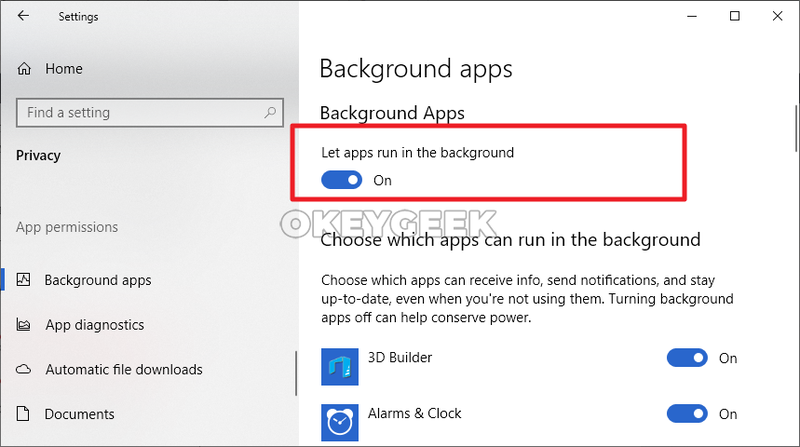 Disable programs that do not need to be run in the background when using limited traffic. 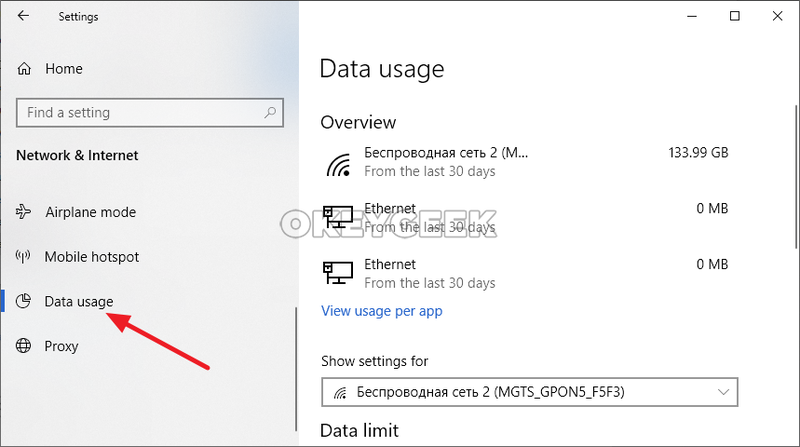 By optimizing data consumption on Windows 10 PC, you will not have to worry that the available megabytes will run out due to some actions that you did not perform.